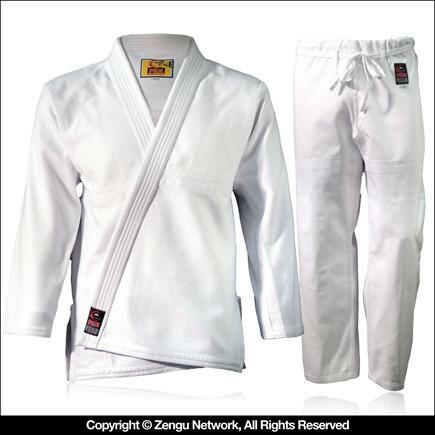 Childrens' BJJ Gi & other great retail gear is available. Buy Now! This is an excellent choice for younger students, who need a low cost of entry, but want a gi that will last through serious training. 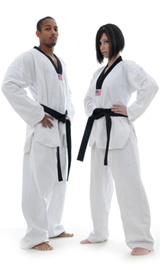 This single weave gi approaches a middle weight feel, but is still highly comfortable and maneuverable. The high impact and pull areas of the gi are reinforced to prevent early wear and tear. 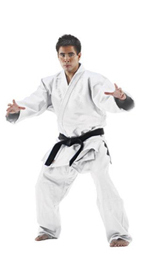 This gi also features true BJJ cut with a shorter jacket and fit that tapers the body. Q. I'm looking to pick up more of these. When will they be back in stock. A. I'm looking to pick up more of these. When will they be back in stock. Comment. I'm looking to pick up more of these. When will they be back in stock. Q. when is your restock expected to happen? i would prefer the white but will take other colors in all sizes. especially m3 and m4. A. when is your restock expected to happen? i would prefer the white but will take other colors in all sizes. especially m3 and m4. Comment. when is your restock expected to happen? i would prefer the white but will take other colors in all sizes. especially m3 and m4. Q. The main pic is a black shirt. But the thumb nails show a black and a gray shirt. Which color will we get seeing as how we don't . . .
A. The main pic is a black shirt. But the thumb nails show a black and a gray shirt. Which color will we get seeing as how we don't . . . Comment. The main pic is a black shirt. But the thumb nails show a black and a gray shirt. Which color will we get seeing as how we don't . 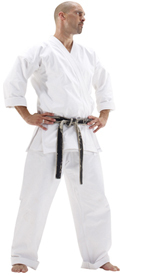 . .
No it's a pure white belt. Simple but functional. This is a great price for a very high quality product. This was also the best site to figure out the best size to order. Very impressed with the price, shipping, quality, and overall look and feel of the website! 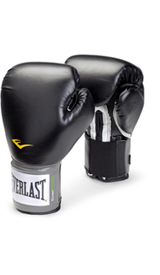 Highly recommend this product and I personally will look here first for my martial arts shopping needs! This is by far the best GI for kids! Great durability, feel and look. I would not hesitate to by this GI again and again. My 7 year old son trains 3-5x a week and after every wash the GI remains the same. Arrived early and exceeded our expectations. This uniform looks to be a much higher quality than most of the kids' uniforms in our son's class. Great value.